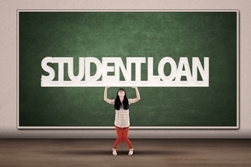 Federal Student Loans and the Fair Credit Reporting Act | The Consumer Law Group, P.C. When You Default on a Student Loan, Does the Fair Credit Reporting Act Apply? With the cost of college at an all-time high, it’s no wonder that more and more students are taking advantage of the federal student loan program. In fact, in 2013, nearly 70 percent of students graduated from four-year institutions with an average of $30,000 of debt. Making matters worse, an estimated 22 percent of college grads in 2015 were either unemployed or underemployed, making loan payments difficult. While the student loan default rate has improved slightly in recent years, it is still around 12 percent. Do these defaults early in one’s adult life have an effect in the years to come? Unfortunately, the effect may be significant. One important protection offered under the Fair Credit Reporting Act (FCRA) is the removal of unpaid debt from credit reports after a seven year period. This provision protects consumers from being harmed indefinitely by an old unpaid debt and allows many people to get a fresh start with a credit card, mortgage, or car loan. However, federal student loans are regulated by the Higher Education Act of 1962 (HEA), which explicitly exempts certain federally-guaranteed student loans from FCRA’s age-off provision. This means that a student loan default can sit on a person’s credit report for many years and affect their ability to get financing approval or take out a loan. Even if the original default amount was only a few hundred dollars, a student could be affected for years to come. While the FCRA age-off provision will not apply to a student loan, recent circuit court decisions have held that other FCRA guarantees do apply. For example, when a student disputes a default notice, the institution or its agents must inform the Credit Reporting Agencies (CRA) of the dispute. Also, the college or university must report the first delinquency date to the CRAs. This is important because, although the default will remain on the student’s credit report, it will be clear just how old the debt is, which may help with potential creditors. The circuit court decision also left the door open to suing an institution of higher learning for damages when your FCRA rights are violated. If you are having problems with your former college over old student debt, or with getting certain information removed from your credit report, call the experienced Fair Credit Reporting Act attorneys at The Consumer Law Group, P.C. We will give you an honest assessment of your situation and whether you have a case against your college or a Credit Reporting Agency.